In addition to the legal fees you pay to a New Hampshire personal injury attorney handling your claim, there may be additional expenses for which you are responsible. An agreement with a New Hampshire personal injury attorney should clearly spell out what charges you may be responsible for. The fee you pay your New Hampshire personal injury attorney is based on his or her services, experience, time and work. It covers not only the attorney’s time, but also that of their professional staff who assist in the processing of your injury claim. A New Hampshire personal injury attorney at the Law Office of Manning & Zimmerman PLLC can explain that there are other charges you may incur based on your particular case. For example, you may be responsible for paying physician and hospital fees for the printing of medical records or reports that are personally prepared by your physician. Another common charge is copy expenses. You may incur significant fees for all of the documents that must be copied in your particular case, including medical bills, police reports, employment records, statements from witnesses and other documents in your case. If your case requires the opinion of an expert, you may also be responsible for paying for the production of such reports. If the case proceeds to litigation, there are additional expenses you may incur, including court costs, service of process fees, witness fees, and other expenses related to the pursuit of a lawsuit. The charges referenced above are usually the client’s responsibility to pay. They are not usually part of a contingent fee, which usually only applies to the lawyer’s portion of the fee that he or she receives if the case is settled or ruled in your favor. Out-of-pocket expenses are not usually contingent upon a successful outcome of your case like the attorney’s fee is. How you handle these expenses is based on your fee arrangement with your lawyer. Some lawyers may ask you to pay these expenses as they are incurred. This may mean that you will be responsible for out-of-pocket expenses as the case proceeds. If you would like more information on this subject, contact a New Hampshire personal injury attorney at the Law Office of Manning & Zimmerman PLLC at (603) 624-7200. The NH personal injury attorneys at the Law Office of Manning & Zimmerman, PLLC advise our clients to keep a symptom diary to increase the value of your personal injury claim. The better you are able to describe your injuries or symptoms, the greater your chances are of receiving fair compensation. Regardless of how you were injured, there is one easy way to increase the value of your case: Keep a symptom diary. What is a symptom diary? A symptom diary is a means of regularly recording the symptoms you are experiencing as a result of your injuries. It can take many forms, including a traditional, handwritten diary; a spiral notebook; a computer log; a spreadsheet; or even a wall calendar with detailed notes. (1) Proving non-economic losses. In order to obtain compensation for the harm done to you, you must prove that you were, in fact, harmed. Your medical bills, employment records, and receipts for out-of-pocket expenses will help to establish your economic losses. A symptom diary will help to establish your pain and suffering, your loss of enjoyment of life, and other non-economic losses that are harder to quantify. (2) Filling gaps in your memory. It may take many months to resolve your personal injury claim with the insurance company, and longer if a lawsuit must be filed. Even if you have an excellent memory, your claim for compensation will be stronger if you have a detailed, written record to support and enhance your recollection. (1) Be honest. Don’t exaggerate your symptoms. If you had a good day, say so. On the other hand, if you had a lousy day, don’t minimize it. Your diary is not the place to be stoic and suffer in silence. • How did you feel when you first woke up in the morning? Were you able to get out of bed, attend to your personal hygiene, and get dressed on your own? • What was your pain level, on a scale of 1-10? Where was the pain located? Did it radiate? Did it subside or increase as the day progressed? • Did you take any medication for the pain? Did the medication have side-effects (e.g., drowsiness, irritability, nausea)? • Did you take any other steps to alleviate the pain (e.g., yoga, meditation, physical therapy)? Were those measures effective? • How did you spend your day? Were you active or did your symptoms keep you in bed? • Were you able to go to work? Clean the house? Exercise? Do the shopping? Care for your children? Cook dinner for your family? • Did you fall asleep easily at night? Did you sleep through the night? The more specific you can be in describing your symptoms – whether to an insurance adjuster; to opposing counsel; or to a jury at trial – the greater your chances of obtaining fair compensation for the harm done to you. When should I get started? You can start right now. Choose a format (e.g., a notebook or laptop or wall calendar) that will be easy for you to stick with throughout the life of your claim. Be sure to include the date every time you make a new entry. Try to update your diary at least once a week and when something out-of-the-ordinary happens (e.g., a visit to a new doctor or a trip to the emergency room). Keep your diary private and confidential. Do not show your symptom diary to anyone – especially the claims adjuster for the person or entity that caused your injuries – without first consulting with the NH personal injury attorneys at the Law Office of Manning & Zimmerman, PLLC. If you have questions about keeping a symptom diary or about your personal injury case in general, please feel free to give us a call at (603) 624-7200 to schedule a free consultation at your convenience. 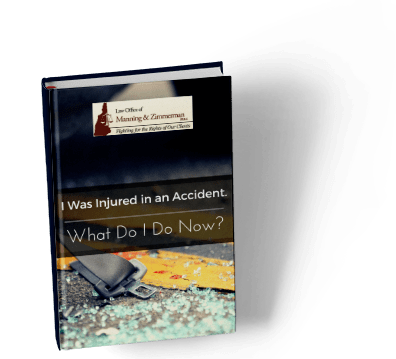 If you were injured in a car crash that did not occur in a crosswalk, a Manchester car accident attorney at the Law Office of Manning & Zimmerman, PLLC may be able to assist you. Many people mistakenly believe they are responsible for their injuries if they were crossing the road at a location other than the crosswalk when the accident occurred. Since drivers have a responsibility to look out for pedestrians at all times, this may not be the case for you. Even if you were jaywalking, a vehicle with the right-of-way still has a responsibility to look out for your presence on the road. If he or she was speeding, traveling fast around a blind curve, or traveling in an area with high pedestrian traffic, the right-of-way defense may not be enough on its own. Under some circumstances, pedestrians who are not in a marked crosswalk may have the right-of-way. A dangerous violation occurs when a vehicle passes a car at an unmarked crosswalk in such a way that the pedestrian is unable to see the other car coming. These crashes often result in serious or even fatal injuries. Your Manchester car accident attorney at the Law Office of Manning & Zimmerman, PLLC may also consider whether the shape of the road led to the crash. Unmarked crosswalks can also lead to confusion since many drivers do not realize that pedestrians have the right to cross. 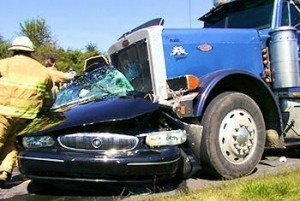 Even if you are determined to be partially responsible for the accident, you may still be entitled to receive compensation for a portion of the damages you sustained. It is possible for both the driver and pedestrian to have some liability in an accident, especially one at an intersection that was not marked. Compensation may cover such costs as medical care, lost wages, lost future earnings, permanent injury and loss of enjoyment of life damages. Contact the Law Office of Manning & Zimmerman, PLLC today at (603) 624-7200 for assistance from a Manchester Car Accident Attorney you can trust. Many people come to the Law Office of Manning & Zimmerman, PLLC in order to get help from a Manchester divorce lawyer with child support enforcement. When a child support order has been issued and the parent who is supposed to pay does not, there are several different things that you can do. In order to provide better help to people who are dealing with child support issues, we have addressed below some of the child support enforcement questions a Manchester divorce lawyer is most frequently asked. Sometimes this can be avoided altogether by getting a wage assignment. However, if there is no wage assignment, or the individual is self-employed, the first step would typically be to file a Motion for Contempt. The court can issue various sanctions, including ordering jail time, to enforce the child support orders. To address the problem of parents moving out of state and then refusing to pay their court-ordered child support, Congress passed the Uniform Interstate Family Support Act (UIFSA). This law outlines what you can do to collect your child support from your ex in their new state. If New Hampshire has jurisdiction over your ex, you can seek to enforce your child support order through the courts here with the help of a Manchester divorce lawyer. If New Hampshire lacks jurisdiction over your ex, you can request that the court send copies of your child support order to the court in the jurisdiction in which your ex lives. You would then request that that court enforce the child support order. You can also travel to the state and personally file an enforcement action with the court or send a copy of your child support order to your ex’s employer to request a wage garnishment. Failing to pay child support to a parent in another state is treated seriously, and in 1998, Congress passed the Deadbeat Parents Punishment Act, which makes it a felony for a parent to do so. What if Your Ex Has Simply Fallen Behind in Payments? If your ex has fallen behind in their child support payments to you, courts treat it seriously. The court will still enforce your child support order and seek the arrearage amount owed to you. Even if your ex has sought and received a reduction in their child support payments, the reduction is not applied retroactively, and they will generally be ordered to pay you the back child support owed in full. If you lose your job and are paying child support, it is important that you seek legal help quickly. The child support order will still be in effect and the payment amounts will continue to accumulate. The child support will not simply disappear when your job ends. You can file a motion to modify your child support amount with the court. Such an order would modify payments going forward (most typically from the date your ex is served with notice of the request for modification), not any arrearages. Accordingly, you should not delay in filing the request for modification and Manchester divorce lawyer at Manning & Zimmerman Law can help you with that process. Child support orders generally are not retroactive before the filing date (there are some exceptions for infants). In the process of a divorce, the court will order child support and will have discretion in determining when the support is ordered to start. What If Your Ex Claims You Are in Arrears, But You Have Always Paid Them in Full and On Time? If your ex has claimed that you are in arrears in paying your child support, it will be your burden to prove that you have made the payments, and if you are unable to prove it, you will be ordered to pay the arrearage amount claimed. This is why it is extremely important that you pay in the manner outlined in your child support order. If you are told to make your payment to the court, do so and do not make your payment directly to your ex. If you are ordered to make payments directly to your ex, never do so in cash and instead use a check or money order. Always require a receipt for your payment and save it. If your ex does claim an arrearage, you will still have to present evidence of your payments to the court, including bank records, receipts, check copies, and witnesses if needed. Does Shared Parenting Time Mean No Child Support? Shared parenting time is not in and of itself a reason for a reduction in child support. The court can still order the higher-earning parent to make child support payments to the lower-earning one. If you have your child half of the time and you didn’t before, your amount might be reduced depending on the circumstances of your case. Child support and parenting time are considered to be separate issues. Even if your ex is refusing to let you see your child, you are still legally responsible for making your child support payments as ordered. If your child’s other parent is actively preventing you from seeing your child, you can file a motion with the court to modify the orders or to hold the other parent in contempt if they fail to comply. Courts generally believe that it is in a child’s best interests to have liberal contact with both parents, and as such, judges do not like it when one parent actively prevents a child from having a relationship with the other parent. However, even if that is occurring, you must still continue paying your child support as ordered and seek relief for visitation and custody of your child through the court. Never withhold child support just because your ex is keeping your child away from you. It can be very frustrating to have to go through issues with your child support, and you may need to seek legal help from a Manchester divorce lawyer to solve the problems you are having with child support enforcement. Parents who are owed child support and their ex has either fallen behind or is refusing to pay can get help to enforce an order and collect both future child support payments on an ongoing basis as well as any amount owed in arrearage. What Are Support Modifications and Contempt Motions? If you are a parent who is ordered to pay child support and you have suffered a significant change in your financial circumstances, you may need help to file a motion to modify your ordered amount with the court. If you have made all of your payments and your ex has filed a frivolous claim with the court claiming that you have not, a Manchester divorce lawyer at the Law Office of Manning & Zimmerman, PLLC can help you gather the evidence of your payments and present them to the court. Finally, if your ex is wrongfully withholding your child from you, an attorney can file a motion to hold the parent in contempt, or if you do not have a current custody and visitation order, a petition for custody or visitation on your behalf. It is important for you to continue making your child support payments as ordered even while any legal action is pending. To schedule an appointment with a Manchester divorce lawyer at the Law Office of Manning & Zimmerman, call (603) 624-7200, email us at info@manningzimmermanlaw.com, or contact us by using the “contact us” form or chat feature on our website. Also, please sign up for our monthly newsletter, Let America Know, that will help to keep you on top of issues that could affect your health, safety, and legal rights. We are also on Facebook and you can follow us on Twitter. A Manchester motorcycle injury lawyer at the Law Office of Manning & Zimmerman PLLC understands that many people have questions about personal injury cases. If you or a loved one has been injured in a motorcycle crash, you probably also have questions about these types of cases. Here are the basics of personal injury law cases. 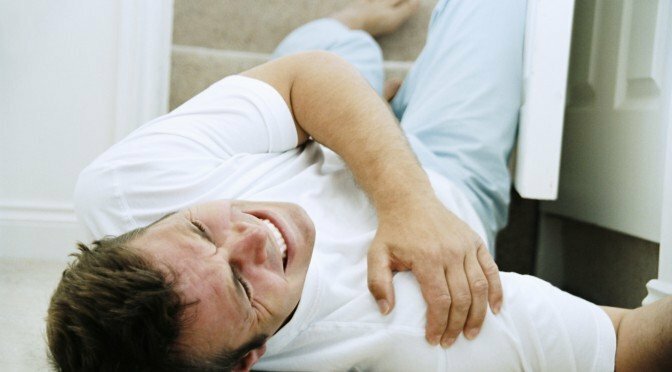 When a person is injured due to another person’s negligence or wrongful act, a legal dispute between them that results is called a personal injury case. In such a case, the injured victim seeks to hold the negligent or wrongful person legally responsible for the harm they have caused. These cases may be resolved either through a formal process and seeking a court judgment, or through negotiation and settlement without having to go through the civil court process. In some cases, a Manchester motorcycle injury lawyer may file a formal lawsuit with the courts. Such lawsuits are initiated by the attorney’s drafting and filing the civil complaint against the named defendant. If a lawsuit is filed in your case, your attorney will list allegations about how the defendant acted negligently or carelessly, resulting in the harm you suffered. In many cases, settlements may be reached through negotiation without ever needing to file a lawsuit. In the settlement process, your Manchester motorcycle injury lawyer will negotiate with the insurance companies, the person who caused harm to you, and their lawyer. If everyone is able to come to an agreement regarding the amount of money to be paid to you, you will be presented with a formal written agreement to sign. This agreement will state that you agree to waive any future right to sue for the crash in which you suffered harm. The settlement funds would then be paid to you. Not all cases are viable. Your lawyer will carefully review the facts and circumstances of what occurred and will advise you whether or not you have a case. If you have been injured in an accident due to someone else’s negligence, you should consult with a personal injury attorney. An attorney can assess the value of your case to make certain any offered settlement will cover your losses. To speak with a Manchester motorcycle injury lawyer at the Law Office of Manning & Zimmerman PLLC, call (603) 624-7200. Injuries happen even when people are trying to be careful, but a Manchester personal injury attorney at the Law Office of Manning & Zimmerman PLLC is prepared to help. After an injury, it is important that the injured victim be made whole again. After all, most injury victims are unprepared for the financial, emotional and physical damage they suffer. To help you receive just compensation, it’s best to contact a Manchester personal injury attorney at the Law Office of Manning & Zimmerman PLLC who will provide professional service in three important stages; investigation, negotiation and litigation. To help you better understand the situation, here is information on these three stages of the process in more detail. Once retained, your attorney will go about investigating the injury scene as may be necessary. They will take notes and pictures, as well as gather relevant data. It is important for you to detail as much as possible about the situation before, during, and immediately after the incident. It may not be readily apparent just what evidence might prove important until later. Your Manchester personal injury attorney at the Law Office of Manning & Zimmerman PLLC will also want to review your medical records and bills. The injuries sustained and the cost to receive treatment needs documentation. Also, official reports from the police, witnesses and parties to the lawsuit require gathering and reviewing. This stage is about virtually recreating what transpired at the time of your injury. Doing so is necessary so you can present the correct narrative to the courts and file the right claim for damages. Once your Manchester personal injury attorney has an idea of the events surrounding the injury and the full losses suffered, they then begin negotiation. Your attorney will speak to your insurance company to find out about insurance coverage. Insurers will want documentation of any injuries, which is why this information needs to collect this information in the first stage. After deciding how much damage has been done, your attorney will send the other party a settlement demand letter. This document is the first attempt to end things before you have to go to court. If the opposition responds with a “low ball” amount, then your attorney will likely reject it in the interest of justice. If it proves impossible to agree upon a reasonable settlement, then it is time to move to the next stage; litigation. Your Manchester personal injury attorney will file an official complaint for damages with the county or local court. 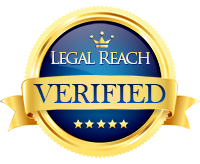 As part of the litigation stage, your attorney will undertake a discovery of the facts. Each side sends questions they need answered to help prepare their case. There may also be a need for you to participate in face-to-face interviews, called depositions. Discovery provides you the opportunity to find out just what evidence the other party has and whether they have a strong case. If further attempts to settle prove fruitless, then you will proceed to trial. If you have been injured through no fault of your own, contact a Manchester personal injury attorney at the Law Office of Manning & Zimmerman PLLC at (603) 624-7200 to ensure the best results. The following slide deck explains what details a NH personal injury attorney may ask about before accepting your personal injury case.